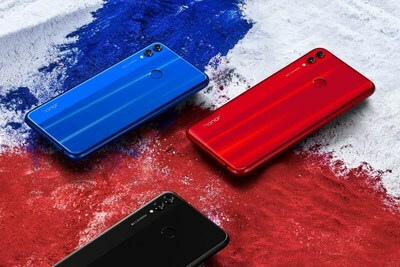 PARIS and MADRID, Oct. 5, 2018 /PRNewswire/ — Honor, a leading smartphone e-brand, launched the latest and most powerful addition to its X-series line-up — Honor 8X on October 3. From 5X, 6X, 7X and now 8X, Honor X-series phones are always dedicated to providing the most value to savvy customers, with cutting-edge technology, features and style, but with an astoundingly accessible price. Honor 8X is a pivotal landmark in the series, extending the reputation of an exceptional value proposition that no flagship smartphone can match. In Honor 8X, customers get a top-end configuration of a 6.5-inch Notch FullView Display with a 91% screen-to-body-ratio and chip-on-film (COF) technology along with a comprehensive list of top features. 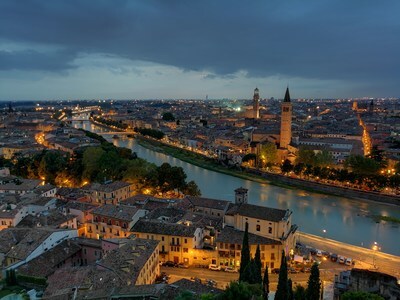 The new night shooting mode enabled by AI technology eliminates the blurring of photos when taking night shots under a maximum 6-second exposure, even with a shaky hand. Whether you’re a professional or an amateur photographer, with Honor 8X anyone can create impressive night shots. Altogether, it’s a smartphone that lets you easily take the best photos regardless of setting or lighting — so you can stay in the moment. Honor 8X deploys the latest in AI Communications to automatically recognize weak-signal or strong interference scenarios and adjust the signal and voice quality when you are using your phone. If a person is in a noisy environment, such as on the subway or in brisk wind, the smartphone will recognize the background noise and enable AI noise cancelation to improve voice quality and enable clearer conversations. AI Communications can also detect variations in signal strength, such as in an elevator, quickly restoring 4G connections to maximum speed right after you leave the lift — so you don’t miss anything. The new Honor 8X is available from Wednesday, Oct. 3 in three countries including France, Italy and Spain. The Honor 8X will be available in more countries later this year.